Brian Kirkwood, a University of Montevallo student from Huntsville, Alabama, spent the summer working alongside UM alumnus Dr. Richard Cummings at the National Center for Glycomics Research lab, located in the Beth Israel Deaconess Medical Center of Harvard University. As a founding father of Phi Gamma Delta, former SGA vice president and current College Night leader, Kirkwood is just as involved on campus as he is in the lab. This dedication to both his career and to the University made him a prime candidate for this prestigious opportunity. Senior biochemistry major Brian Kirkwood spent three months in the professional research lab of UM alumnus Dr. Richard Cummings. During the three months Kirkwood spent in Boston, he experienced the environment of a high-profile research lab. He worked with his mentor, research fellow Dr. Deniz Eris, on a project involving human breast milk and the activation of the immune system. Kirkwood said he was treated as an equal in Cummings’ lab and got a glimpse of what a career in the medical research field would look like. Cummings received his B.S. in biology from the University in 1974. He went on to get his Ph.D. from Johns Hopkins University. He trained there, as well as Washington University in St. Louis, before going on to work at other prestigious institutions such as Emory University and eventually Harvard Medical School. He is a co-founder of the fields of both glycomics and glycobiology, and a co-editor of the first, second and third editions of “Essentials of Glycobiology.” During his years in the medical field, he has written more than 275 peer-reviewed publications, over 60 review articles and dozens of book chapters. Cummings is an elected Fellow of the American Association for the Advancement of Science and a past president of the Society for Glycobiology. In 2008, he received the Karl Meyer Award from the Society for Glycobiology in recognition of his many contributions to the field. According to Kirkwood, Cummings still held his old UM professors in high regard, a fact the senior biochemistry major connected to immediately. 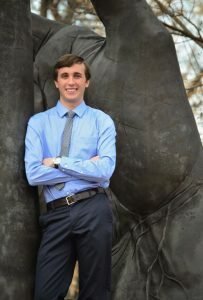 As he finishes his senior year, Kirkwood is optimistic about his next steps pursuing his future in the medical field.